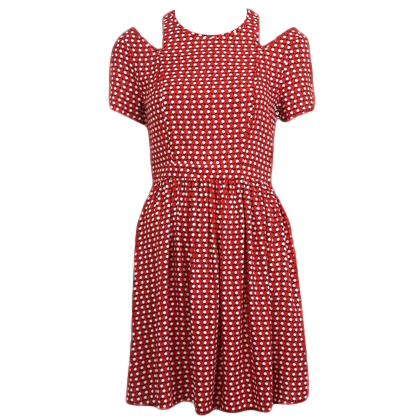 Petites red spot print dress with cold shoulder cutouts. Length:85cm. 100% Viscose. Machine washable.